Frustrated by his inability to master the ‘art of detachment’, Bruce Lee spent a week in meditation. Still unable to find it, he went sailing alone. Feeling mad, he punched the water and finally, the realization came. No matter how he struck it, the water stayed unharmed. Raymond Tang’s realization came differently. Feeling stressed, anxious, and trapped by the technology driven life he led, he sought answers in how to cope with a world that’s literally changing faster than we could think. 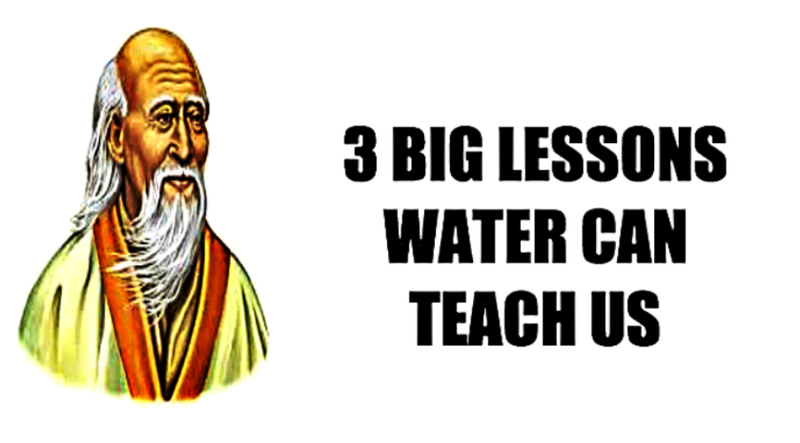 He finds the answer not from the varying self-help books he had read, but from the 2600 year old classic text, The Tao Te Ching, particularly the poem of Chinese philosopher Lao Tzu describing the nature of water. From his realizations, Raymond discussed the nature of water in his recent TED talk and laid down three lessons that has been learned by the Chinese for millennia. The water that flows in a river always stays low. Yet, it is a life giving force that helps plants grow and keeps all animals alive. It does not seek attention nor recognition, but its humble contribution is what sustained life on Earth. Without it, life may cease to exist. – Accept that we don’t have all the answers to every question. Saying I don’t know is okay and be open to learning. Asking for help is also a sign of humility. – Be happy with the success of others and help them promote their success. – Instead of trying to get ahead, help other people in their journey. – By being humble, we imitate the nature of water, which is staying grounded and being aware of the environment and the people around us. Water does not fight against any obstacle in its way. When flowing towards a rock, it gently flows around it without getting upset, angry, or agitated. With every obstacle scattered along its way, water always finds a solution, without force, without conflict. – Unless we’re harmonious inside, we can’t find harmony outside. Learn to be harmonious in thoughts, words, and deeds. – Being in harmony with ourselves is being comfortable with who we are rather than fighting to be the person we think we are supposed to be. – Finding harmony in ourselves involve not fighting against our nature, rather to flow with who we are. – We should not force ourselves to succeed and stop fighting with ourselves. Instead, let’s shift the focus from achieving more success to achieving more harmony. – Let’s not focus on the things we can’t control. Rather let’s work with the environment to solve problems. Nature doesn’t hurry but everything is accomplished. Water is open to change. It has the ability to adapt to the changing temperature, which turns it into a liquid, solid, or gas. It adapts to the medium it’s in. It’s a teapot when it’s inside a teapot, or a cup when it’s inside a cup. Because of its ability to adapt to change and remain flexible, it endures through the ages, overcoming all changes in the environment. – Step up, open up, and get out from behind closed doors. – We’re called to go beyond our self limiting beliefs. We must be open to every possibility. – Be open to learn and unlearn to navigate through the changing circumstances. Learning from the flexibility and adaptability of water can be a guiding principle we can all adhere to. If ever he’d be anxious again, Raymond even joked, “What would water do”? On a serious note, water can’t be grasped, wounded, or divided. It does not have a shape of its own but molds itself to the receptacle that contains it. And in freezing temperatures, it crystallizes into a mighty rock. Becoming like water might not be easy, especially when things are working out fine in our lives. But when things start to crumble like in the circumstances of Bruce Lee and Raymond Tang, may we remember to see ourselves flow like water.